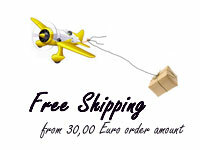 All orders from 30 Euro total amount receive free shipping within Germany from now. More discounts are starting at 150 Euro amount. More information to our discounts you will find here. 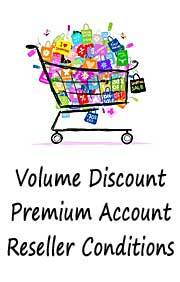 10% personal premium membership discount which will be deducted from your total amount in your cart*. This discount is additional to our usual discount rate. For only 50 Euro annually you can become a premium club member and benefit from all these advantages. For further questions and assistance please contact us under 0049 2841 6079658. The unique quality Swarovski pearls is famous all over the world for the exceptionally high quality cut crystal glass . Thanks to the particular brilliance of the colors of the stones from Swarovski the beads are the epitome of glamor and elegance. Swarovski is therefore a wonderful alternative to natural crystals because Swarovski beads are barely distinguishable through special processing and finishing of real crystals. The exceptional , patented top-secret glass cut technique of crystal glass components makes the beads of Swarovski rightly extremely coveted objects that are used by many well known and respected fashion designers in their creations . On magic and arts.com we offer a wide range of products selected , particularly beautiful beads from Swarovski in various colorations and shapes at reasonable prices. The selection of Swarovski pearls extends from bicone beads in different sizes , round crystals in various cuts , to more unusual Swarovski beads in roundel , Helix , dice , fish or even butterfly shape . Each type is suitable for the Swarovski beads that fit perfectly with his character. Thanks to the variety of available colors of Swarovski beads and the many forms in which they were ground , you have an almost infinite range of possibilities for the creative work with Swarovski glass beads. Both a classic and elegant necklace made of transparent , rose-colored or black Swarovski pearls, as well as an original , trendy bracelet in pale green , or azure, can thus be compiled . The effect of the use of Swarovski pearls is always the same : the jewelry with Swarovski pearls always acts as a particularly eye-catching and eye-catching that enhances any outfit and gives it a unique, distinctive elegance. What woman would not wear jewelry from sparkling Swarovski beads? Creativity has no limits and you will be getting new inspiration for beautiful jewelry can be found from Swarovski pearls. We are pleased to announce the launch of our Hill Tribe silver catalogue, which you can download as a pdf-document here. Precious or semi-precious stones are undoubtedly one of the most important elements in the design of beautiful jewellery. Stones are old and have spent a long time hidden in the earth, until one day they come to light. These semi-precious stones are then cut, sanded and polished. In addition, many of them have been improved or stabilised through various methods. Some stones are said to have healing powers, although one thing is certain: Each gem has their own unique story, energy and charisma. 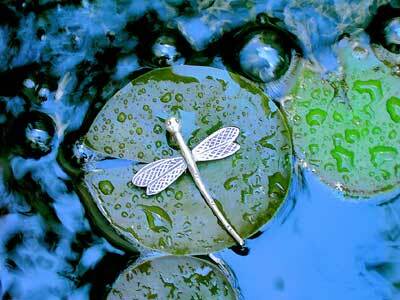 Capturing all these qualities in jewellery design is an art in itself. With today's technical possibilities, it is sometimes difficult even for an expert to tell the difference between a genuine semi-precious stone or an imitiation stone. In addition, about 99% of all semi-precious stones are treated in any way, mostly by the use of heat, in order to enhance their beauty or change their appearance. Carnelian, for example, have been exposed to solar heat since ancient times with the effect that their iron hydroxide content is converted to iron oxide - leading to their popular red colour. Most red agates also go through the same process. It is Magic and Arts's desire to always disclose whether our semi-precious stones are natural, in any way treated, refined, synthetic, dyed or imitated, as far as known to us. 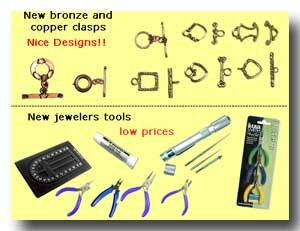 We offer you many new and practical tools for professional jewellery design. New handy mini pliers with pvc-coated grips which are ideal for working with very small findings, as well as crimp pliers, beading tools, a new diamond bead reamer set, as well as normal sized jewellery pliers and cutters. Our gorgeous copper and bronze clasps perfectly match the new style beads that we have on offer, giving you the opportunity to create even more attractive and exceptional designs. Copper and bronze are semi-precious metals, and so can be combined with silver beads as well as other materials such as glass beads, wooden beads and semi-precious stones for a unique look. In addition, we now offer jewellery tags and design stamps to give your jewellery the edge. Design stamps will be manufactured according to your specifications and can be used with our sterling silver tags in different shapes and sizes. is all about individual jewellery design. We offer our customers an impressive selection of handmade beads, spacers, earring components and clasps made from Sterling Silver or 950 silver, as well as a vast collection of beads and pendants made from other matrials such as copper or bronze. In addition, you will find a beautiful selection of high quality timeless silver jewellery. Having been jewellery designers ourselves for years, you can rest assured that all our items are lovingly selected and of the highest quality, just as you would expect. And, of course, for those loved ones there is always the option to buy our popular gift vouchers and letting them choose their favourite items themselves. SSL coding and a Commodo SSL certificate guarantees our customers the safety of their personal data. We offer several kinds of payment methods including credit cards via Paypal. We give you the best service possible for an all-round satisfactory shopping experience. Of course, you will always be informed about the status of your order, including an emailed order confirmation, receipt of payment confirmation and dispatch notice. Our information pages give you hints and tips, instructions on the creation of beautiful jewellery as well as general information about jewellery design. We offer fast shipping with very reasonable shipping costs, as well as giving our customers special discounts for orders over 50 Euros. Wire wrapping is a great way of transforming your jewellery into something very special. Whether you would like to decorate a precious stone or turn it into a chic pendant, create spacer beads for a necklace or would like to produce your own earrings, wire wrapping is the way forward. All you need is our handy Wig Jig and the world is your oyster! Of course, we also offer coloured brass wire as well as other coloured jewellery wire, giving you the option to match the colour of your wire to the colour of your beads. Colours available are silver, gold, black, blue and red. It goes without saying that this wire is much cheaper and more suitable for this kind of work than Sterling Silver wire. Thai Silver is a very special kind of handmade silver jewellery produced by the hill tribes of Northern Thailand. It has become famous for its high purity with a silver content of up to 99,9 %, which makes it easy to work with and create fabulous designs. Sterling Silver has a higher copper content, making it harder. On the other hand, it is a bit more expensive than normal silver jewellery. Thai Silver is also known as Lanna Silver, Hill Tribe- or Karen Silver. 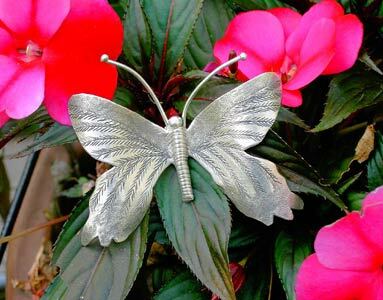 In our shop, you will find beautiful pieces made of 95% Silver as well as 92,5%, also known as Sterling Silver. We are also planning on offering jewellery made of 99% Silver soon - watch this space! The situation in Thailand is very difficult, and so we support a Thai initiative to help the hill tribe people of Northern Thailand with regard to lowering crime rates and keeping and producing new jobs in the production of silver. More than 100 years ago, the hill tribes settled in the Golden Triangle in South-East Asia, where Burma, Laos and Thailand meet. They were originally nomads from China, looking for a new place to live. In Thailand, Karen Hill Tribe people are called Kariang or Yang. They are the largest hill tribe in Thailand. In old times, Karen Hill Tribe people used to live as farmers, and often their houses would be built on stilts. They would clear the land with elephants and start cultivating opium, a very easy and the rest of the population and many of the hill tribe people themselves becoming addicted to the drug. At the beginning of the 60s, King Rama IX and his wife Sirikit, started an initiative to help the hill tribes with different sources of income. And so, the first generation of silversmiths was born. They were trained in producing stunning and unique designs of silver jewellery made with high quality silver. The techniques used by the silversmiths were then passed down to the next generation, and to this date, Karen Hill Tribe silver jewellery with its extraordinary designs mirrors their unique art and culture. The different motives used like flowers, animals as well as geometric figures show the deep connection that these people have with their land and seas. Karen Hill Tribe jewellery contains this spirituality and passes it on to it's wearer. It is not easy to find beads and findings made of Sterling Silver but we are able to offer you a beautiful selection of high-quality silver findings and jewellery. In our catalogue you will find different toggles and clasps, spacers of many shapes and designs, beads, beadcaps, headpins, pendants and charms with extraordinary designs as well as earring and chandelier components for your own creations. Most items are made of 95% Silver, with a minimum of 92.5% (Sterling Silver). 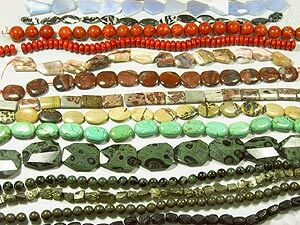 In addition, we also offer other beads made of crystal, glass or semi-precious stones. There is also the option for made-to-order jewellery made from our own components. If this is something you are interested in, please get in touch. We are continuously updating and changing our stock but if there is anthing you are looking for specifically, please let us know. You can always browse our wholesale catalogue, and if there is anything you are particularly interested in, please let us know via our wish list and we can order a small selection of the items you desire with no obligation. We are looking forward to hearing from you.